Today, upright vacuums are the most common and popular type of vacuum. As you might imagine, they are tall, and they stand upright. Regarding width, they aren’t too big, but regarding height, they are certainly bigger than the alternatives. One of the biggest reasons why they are so popular is because they are the most powerful type of vacuum. They are also quite cheap, in comparison to robot vacuums and canister vacuums. However, with this extra power and affordability, there comes a slight lack of mobility and versatility. Right at the top of an upright vacuum, there is a handle. You use this handle to maneuver the vacuum around. Below the handle, there is the dirt canister or bag, which is usually quite large and capable of holding a significant amount of dirt and debris. 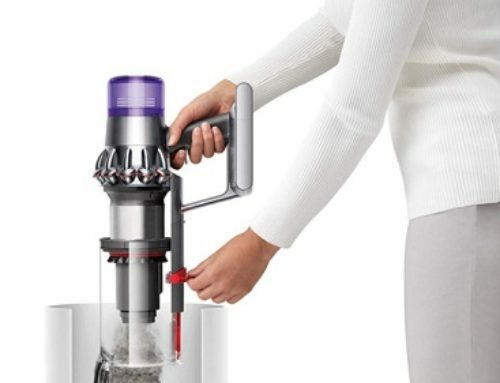 Finally, underneath the dirt canister, there is the cleaning head which has the brushes and is directly connected to the dirt canister. Upright vacuums are powerful, first and foremost. They are incredibly powerful vacuums that can clean anything. Whether it’s a hardwood floor or a thick carpet. Many of the alternatives on the market – robot vacuums, for example – don’t have this level of power. Or, if they do, they’re far more expensive than their upright vacuum counterpart. Affordability is another great benefit since these vacuums are so popular and widely manufactured, they don’t cost very much at all. You can find them at any big department or home appliance store, and more often than not, the price is very reasonable for a decent upright vacuum. Finding the best upright vacuum for yourself doesn’t have to be a challenging or difficult process. Every upright vacuum is, essentially, the same. But, each one also has a few differences that separate it from the other upright vacuums on the market. Some upright vacuums are best at cleaning up carpets; others are best at cleaning up hardwood floors. To choose the right one, you need to consider the kinds of flooring that you have, along with the kinds of debris you’ll be vacuuming up. Make sure you know your budget as well. When you know those things, then the search becomes a lot easier, since you have a much more clear idea of what, exactly, you want. Concerning prices, upright vacuums do vary a lot, but the basic models are very affordable, as are the more advanced ones. Chances are, you’ll be paying anywhere from eighty-dollars to three-hundred dollars, depending on your needs. But, of course, you can find ones that are cheaper, and ones that are more expensive. Now, let’s get into what you need to look for in a good upright vacuum! What Is A Good Wattage For An Upright Vacuum? How To Maintain An Upright Vacuum? Are Bagged Vacuums Better Than Bagless? How Often Should Floors Be Vacuumed? Should You Choose A Canister Vacuum Or An Upright Vacuum? A standard upright vacuum is a very simple device. We’ve already gone over how they work and the nature of how each element is set up. However, to reiterate, they are tall, and they stand upright. Usually, they have either a bag or a physical canister that stores all of the dirt and debris. The cleaning head is quite wide and rather heavy. But, the suction and brushes, which are motorized, are powerful and efficient. 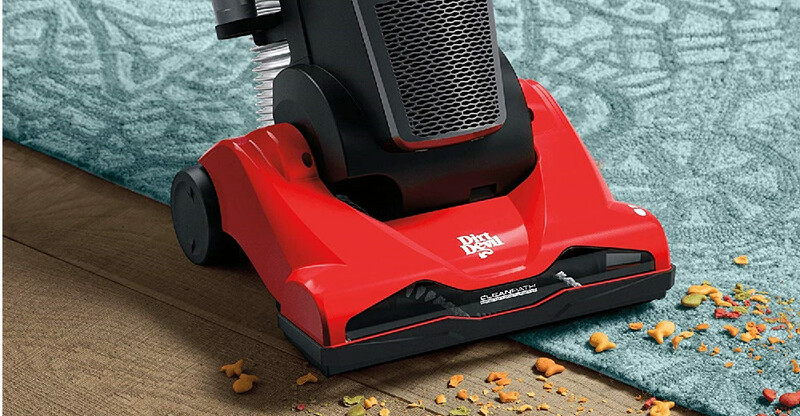 Using the handle at the top of the vacuum, it’s easy to move the vacuum around in whatever space you are cleaning in. A lift-away upright vacuum cleaner is designed with the sole purpose of being able to transform into a handheld vacuum cleaner. Because of this, they are more compact and lightweight than traditional upright vacuums. The dirt canister – it’s usually a dirt canister, bags are too bulky – can’t hold as much, and the cleaning head isn’t as wide. However, lift-away vacuum cleaners are more versatile than upright vacuums, since they can convert into a handheld vacuum, enabling you to reach smaller crevices and corners and to work within smaller spaces. Performance is the most important feature to look for in an upright vacuum. With the poor performance, a vacuum can’t adequately do its job. Suction is one major element of a vacuums performance as is the strength and power found in the cleaning head. Those are the two major elements that affect the entirety of the vacuums overall performance. If the suction isn’t strong enough, this means that things like dirt and debris have a harder time getting into the vacuum. Now, if the brushes aren’t strong enough, then the dirt and debris have a harder time getting loosened up and gathered in such a way as to enable the vacuum to vacuum it all up. 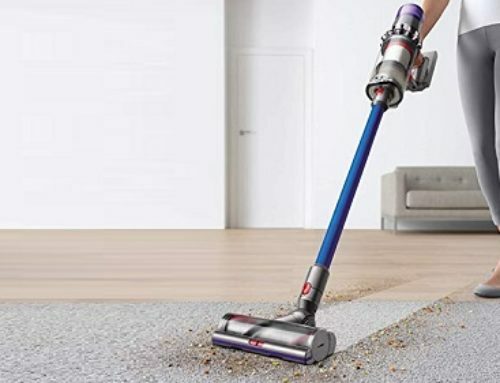 Most of the time, you can determine the overall performance of a vacuum cleaner by the specifications that are found on the store page of the vacuum. But, if they are hard to find, or simply not there, customer reviews are the best option for finding this information. Most upright vacuums have a fairly substantial dirt capacity. So, this isn’t something to be overly concerned about. More often than not, you won’t need to spend the extra money to get an “XL Dirt Canister”. But, there may be some cases where it is beneficial. Just in terms of convenience, it’s nice not to have to empty the dirt canister as much. With a smaller dirt canister, and depending on how often you vacuum, you might be emptying it five-times every day. With an XL dirt canister, that might only be two times. Today, most upright vacuums come with different kinds of accessories. Things like “crevice tools” and “extra long hoses” that enable you to clean crevices and small spaces and to reach places that are too far for the vacuum to reach. Those two accessories are the main ones that you will find bundled with most upright vacuums, and they are the most important ones. You can use those accessories in many ways. Others do exist, such as brush additions and add-ons. Some of these accessories are designed for pet hair; others are designed for thick carpeting, and so on. Go on the product page of the upright vacuum you are looking at. You will see which accessories if any, the vacuum comes with. Choose an upright vacuum that comes with the accessories that you need. If you have pets, find an upright vacuum that is either designed for pets, or that has pet accessories. If you have incredibly thick carpeting, find an upright vacuum built for those thick carpets, or an accessory that makes the cleaning process easier. Upright vacuums are heavy. That’s a fact. But, some are heavier than others. If you’re buying an upright vacuum to have a portable and versatile vacuum, you might be disappointed. On average, the standard upright vacuum will weigh about thirteen-pounds. Sometimes less, sometimes more. 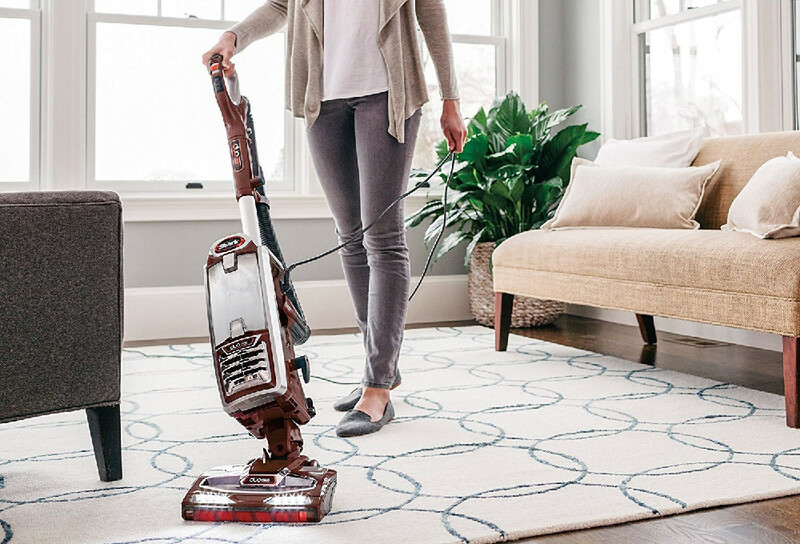 If you don’t want to be carrying around and maneuvering a bulky vacuum, but you want the same level of power that an upright vacuum can give you, then look for a vacuum that is around eight-to-ten pounds. This isn’t particularly light, but it is much lighter than some of the other models. Plus, even though they are lighter, they are still quite powerful especially in comparison to some of the “lightweight” models that lack the same power and efficiency as bulkier models. More than anything else, the phrase “cleaning path” refers to the width of the cleaning head. It is the width of this cleaning head that determines your cleaning path. With a large cleaning path, you have a much more convenient and efficient setup. For example, if you have a twelve-inch cleaning head, you will be able to clean much faster than you would with an eight-inch cleaning head. However, if you have a smaller home – such as a studio apartment or a dorm room – that is filled with tight spaces and obstacles, then a cleaning head with less width is ideal. To find the right size of the cleaning head for you, consider how spacious your home is, and the kinds of spaces you will be cleaning. If you are cleaning big, wide, open spaces, then choose a wider cleaning head. If you are cleaning smaller spaces that are tight and cramped, choose a cleaning head that is less wide. For bigger spaces, twelve-inches – or more – is more than sufficient. For smaller spaces, eight-to-eleven inches is ideal. Quite a few upright vacuums have what is known as a “True-HEPA filtration system”. This is a system designed to capture and extract the allergens and small particles from what it is that you are vacuuming. If you have pets, then this is the best kind of filtration system you could ask for. However, that doesn’t necessarily mean that the suction of the upright vacuum is ideal for vacuuming up pet hair and pet debris. You see, allergies are easily taken care of using a True-HEPA filtration system. But, some vacuums aren’t particularly good for vacuuming up pet hair, which means that it will be more difficult to deal with the problem of pet hair and debris adequately. Filtration is only one part of the solution. For a great vacuum that will adequately fulfill your pet hair and debris problem, find a vacuum that has a True-HEPA filter, while also coming with features that are designed to aid in pet hair and debris cleanup. The length of the cleaning hose directly affects your ability to clean. If you are working within a smaller space that has many small crevices, and if you have a long hose, then the process of cleaning that space is easy and effortless. If you have a short hose, then it’s a considerably more difficult process. Having a long hose can be a very nice convenience, but in some cases, it can be a little annoying to have to constantly ravel and unravel the hose. Especially if you are cleaning a small space that doesn’t require a long cleaning hose. If you are only going to use the cleaning hose on things like the interior of your car and your couch, then a short cleaning hose is all that you need. If you are going to be cleaning long and crowded spaces full of obstacles, then a long hose is a necessity. Power cord length is, more or less, in the same arena as cleaning hose length, since it directly affects the versatility of your vacuum. For small spaces, long power cords can tangle and become an inconvenience. Especially if you accidentally trip on them or run the vacuum over the cord. For big spaces, though, long power cords are great. They allow you to clean all around the space, without having to unplug the main power cord so that you can plug it into a closer outlet. If you have a smaller space or will be cleaning a lot of them, then a shorter power cord is the best choice. But, if you have a bigger space, then a longer power cord is ideal. Unlike the other types of vacuums on the market – namely robot and canister vacuums – upright vacuums are loud. Very loud. That’s simply a fact of the matter. Now, there are ways of bypassing this, though. More and more upright vacuum manufacturers are producing vacuums that are designed to be a lot quieter. This does, for the most part, come at the cost of power, though. Many of these vacuums are, at the very least, somewhat less effective and efficient than their louder counterparts. If the noise is a serious issue or concern of yours, then it may be a good choice to spend the extra money to purchase a quieter upright vacuum. However, as mentioned, these are more expensive, and they tend to be a bit less effective. But, advancements have been made, and continue to be made so that this disparity won’t be the case for much longer. Naturally, this is a somewhat open-ended question that depends on several factors. Spending the extra money will give you an upright vacuum that is very powerful, and in turn, a vacuum that has a lot more wattage than the average upright vacuum. Spending less money on a more “budget” upright vacuum will give you an upright vacuum that is less powerful, and therefore, has less wattage. Neither of these things are good or bad because it all depends on the types of flooring that you are going to be cleaning. If you are going to be cleaning thick carpets and flooring that is dense with dirt and debris, then you’ll want an upright vacuum with greater wattage and a variety of features and settings. 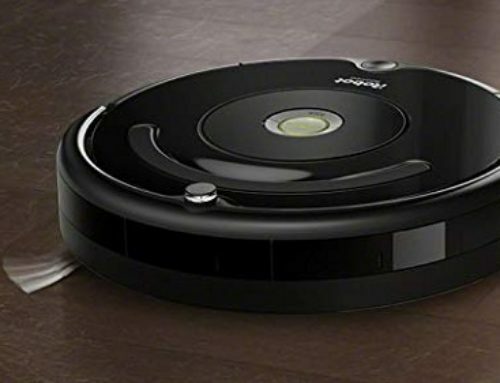 Features and settings that enable you to vacuum all of that stuff up. If you are going to be cleaning hardwood floors that are mostly clean, and the occasional light carpet or rug, then you don’t need an upright vacuum with a lot of wattages. Something simple and effective with a decent cleaning head and good brushes along with a good suction system is all that you need. Maintaining an upright vacuum is very simple and easy. You see, much of upright vacuum maintenance simply consists of making sure the dirt canister – or bag, for that matter – is emptied after every usage, and that there isn’t anything tangled up in the brushes of the cleaning head. Of course, you also want to make sure that you are storing your vacuum in a safe place, and that you aren’t too rough with it. These aren’t fragile vacuums, but treat them how you would use any other appliance. Don’t throw them around. Store them in safe places. Make sure that the cord is being wrapped up safely. If you have allergies, then the answer is “Yes”. The answer is “Yes” because bagless upright vacuums have a greater tendency to leak dust and debris, or to spill it out simply, then upright vacuums that use bags. However, most bagged vacuums require you to spend some money to replace each bag. Some of them don’t, and you can simply empty the bag, many of them do. As such, bagged vacuums can quickly become more expensive than bagless, due to this extra cost that remains consistent throughout your time using that vacuum. If cost is an issue, and you don’t have allergies – or simply don’t mind the risk – then bagless might just be the best type of upright vacuum that you can buy. 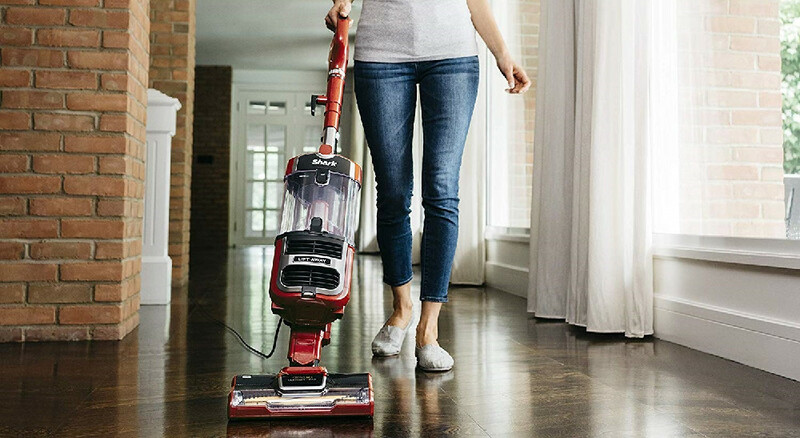 If you don’t have any issues with cost, and you want something that can effectively seal away and store all of the dirt, dust, and debris that you’re vacuuming up, then a bagged vacuum might also be the best choice to make, because these vacuums are incredibly effective at doing just that. If you have pets, once every other day is a good choice. Now, if the pets are big or shedding a lot, then once every day is the ideal choice. If you don’t have pets, but you have a family – or even kids, for that matter – then once every other day is also a good choice. However, if it’s just you – or you and a spouse/partner – then you don’t need to vacuum with too much regularity. Ideally, once every three days. But, you don’t need to stick to that routine too closely, especially if you work during the week and aren’t actually at your home very much during those five days. In the end, though, this question can be answered by taking a look at the floors in your home. If they are dirty and dusty, with little chunks of debris scattered around, on most days, then it’s a good idea to start vacuuming those floors most days. If they aren’t like that, and if they are mostly clean and relatively spotless, then you don’t need to vacuum nearly as much. Canister vacuums are very different from upright vacuums. Right off the bat, you’ll notice that they’re quite a bit smaller and more compact and mobile than the average upright vacuum. Because of their size and weight, they are far easier to maneuver and control. This size and weight can be contributed to the shape of a canister vacuum, which is, naturally, that of a canister. The biggest difference is the maneuverability and versatility of a canister vacuum especially in comparison to an upright vacuum which does lack the maneuverability and versatility of canister vacuums, and other types of vacuums, as well. Canister vacuums are powerful, but they aren’t as powerful as upright vacuums, though. Some of them get close to this metric, and others do reach it, but those particularly canister vacuums are both a rarity and quite expensive. Far more expensive than buying an upright vacuum with the same level of power. However, with a canister vacuum, you are paying a premium for this extra convenience. When it comes to prices, if you are on a budget, then an upright vacuum is probably the ideal choice for you. Buying an upright vacuum is just like buying any other tool. Before you can even begin searching, you need to know what it is, exactly, that you are searching for. 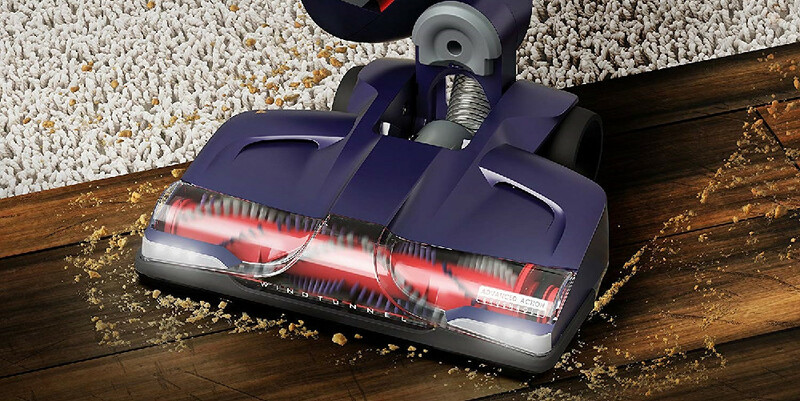 Are you searching for a vacuum that can clean thick carpeting? Or a vacuum that is meant for lighter cleanings on hardwood floors? Do you have pets? Do your pets shed a lot? How big is your home? Are there many power outlets? Those are just a few examples of the many different questions that you will be asking yourself, in order to determine which upright vacuum is the best upright vacuum.